This report contains the results of a semester-long independent study of farmed animal laws around the world. This paper examines the public value of farm animal welfare from the economic perspective that it is a public good. It examines the concepts of willingness to pay, negative externality, private and social costs, utility and disutility, and the need for a level playing field for those who raise and sell farm animals and their products; i.e., voluntary measures are not likely to work on a large scale because some will continue to benefit from selling their products at a lower price, undercutting those who sell at a higher price because they are paying the full cost of the negative externality. This circumstance creates conditions for market failure in several ways. The public lacks full information about the conditions of the animals providing meat, milk, eggs, and other products, a situation known information asymmetry. In addition, producers avoid shouldering the full cost of their goods, specifically for the bad effects caused by a lack of animal welfare. These costs, known as negative externalities, occur because their systems cause animal suffering to consumers and non-consumers alike. In addition, this suffering results in a disutility to all, lowering the value of the goods. More attention, however, focusing on farm animals has raised awareness and created public demands for improvement. The meat, dairy, and egg industries have responded by successfully lobbying for “ag-gag,” or anti-whistleblower bills, that have been enacted in many states. These agriculture gag laws criminalize filming inside dairy, pig, chicken, or other industrial animal farms. Nevertheless, concerned people continue to risk charges, fines, and even jail time to document abuses as well as the ordinary, acceptable routine treatment of these animals which by reasonable standards is no less cruel. 30 states have introduced ag-gag laws; eight have passed them. 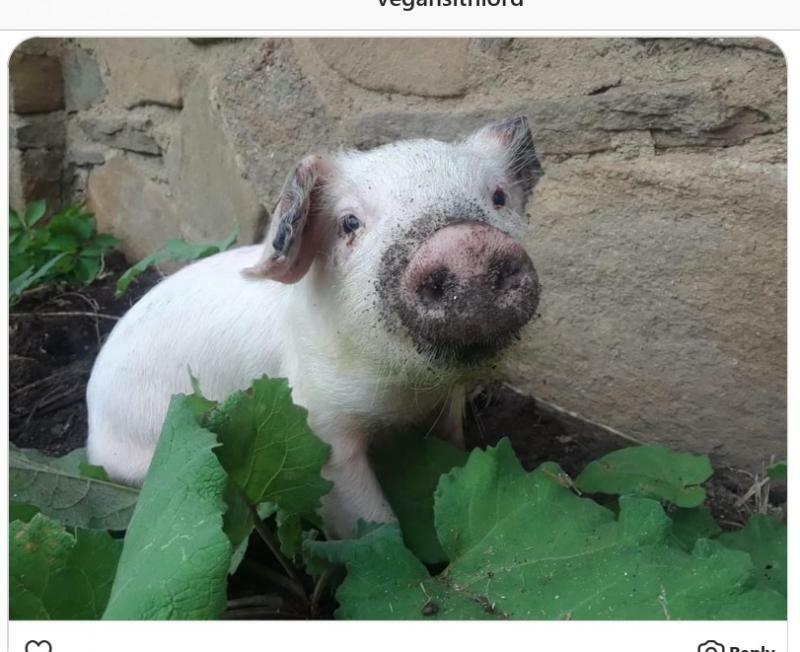 Petunia was rescued as a baby from an industrial farm during Hurricane Florence. She was found in southeastern North Carolina. She now lives at an animal sanctuary in western North Carolina.